LA ASOCIACION CUIDEMOS EL ALBIR ORGANIZA UN DIA DE VOLUNTARIADO MEDIOAMBIENTAL PARA LIMPIAR LOS FONDOS, LAS COSTAS Y LA PLAYA DE EL ALBIR, PARA ELLO OS PEDIMOS VUESTRA COLABORACIÓN A AQUELLOS APASIONADOS/AS DEL SNORKEL, DE LOS KAYAKS Y DEL SENDERISMO. LA IDEA ES QUE CADA VOLUNTARIO/A, UNA VEZ SEÑALADA LA FECHA, QUE SERÁ A PARTIR DE PRIMAVERA-VERANO, PUEDA APORTAR CON SU AFICIÓN, UN PAPEL IMPORTANTE A LA HORA DE LIMPIAR EL FONDO SUBMARINO, LAS CALAS Y LA COSTA DE EL ALBIR. TODOS SABEMOS QUE EL MAR DEVUELVE A LAS COSTAS LA BASURA Y SUCIEDAD QUE LE LLEGA TRAS LOS TEMPORALES Y LAS RAMBLAS. MUCHAS GRACIAS Y CUIDEMOS EL ALBIR. ALBIR CUIDEMOS ASSOCIATION ORGANIZED VOLUNTEERDAY TO CLEAN ENVIRONMENTALFUNDS, COASTS AND BEACH ALBIR, OS ASK FOR IT YOUR COOPERATION TO THOSE PASSIONATE/ AS THE SNORKEL, OF KAYAKS ANDTRAILS. 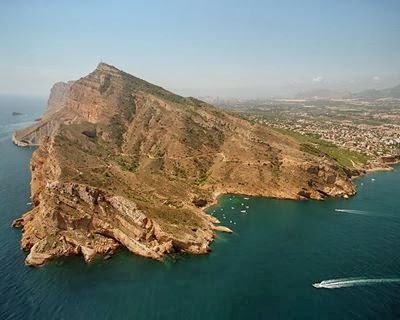 THE IDEA IS THATEACH VOLUNTEER / A ONCE MARKED THE DATE THAT WILL BEOUT SPRING–SUMMER CAN CONTRIBUTE TO YOUR FANS, AN IMPORTANT ROLEWHEN UNDERWATER CLEANBACKGROUND, THE BAYS AND COASTAL ALBIR. WE ALL KNOW THAT RETURNSTO THE SEA COASTWASTE AND DIRT THATCOMES AFTER THETEMPORARY AND RAMBLAS.